Yuji Igarashi, general manager of Fujifilm’s Electronic Imaging Division. Takashi Ueno, manager of Fujifilm’s Electronic Imaging Group Sales and Marketing and Optical Device and Electronic Imaging Products Divisions. Ryouichi Takamoto, Optical Device & Electronic Imaging Products Division, Sales and Marketing Staff. 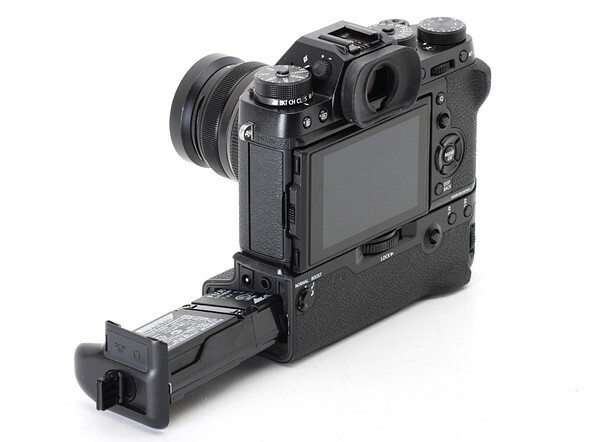 The X-T2 is compatible with a new ‘Vertical Power Booster Grip’ which can accomodate two batteries, making a maximum of three in total. This takes the X-T2’s endurance to a CIPA-rated total of 1000 shots. Apart from the 4K movie function, what other features differentiate the X-T2? 'Our goal is to satisfy everyone': an interview with Fujifilm execs posted on DP Review on July 14, 2016 4:50 pm .